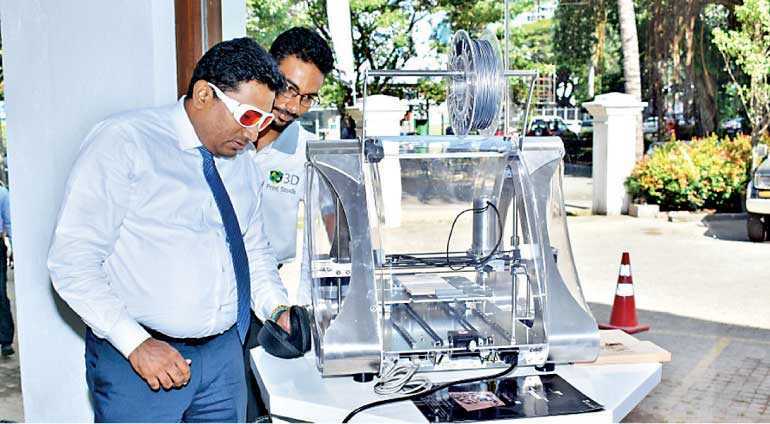 United Motors Lanka PLC (UML), is now pleased to introduce its 3D Printing arm which will now market some of the best European brands of printers to the Sri Lankan market. The 3D Print Studio is located at Abidally Building, No. 33 Park Street Colombo2, (Next to Parkland Building) offering customers a range of services from 3D printing equipment to 3D printing services and 3D print after sales services. 3D Printing enables the creation of any object through a digital 3D-model. A scanned, downloaded or created design can be printed as a three-dimensional object layer-by-layer with this equipment. Industries from education, jewellery, medical and dental to architecture invest in 3D Printing via FDM 3D Printers, SLA 3D Printers, SLS 3D Printers and Syringe 3D Printers, using an array of materials such as ABS Plastic, PLA, Silver, Titanium, Steel and more. UML partners with Novabeans to introduce this technology to Sri Lanka. Novabeans represents many of the best brands of printers from across the world and works with engineers, product design teams, medical professionals, architects, students, teachers and entrepreneurs to make their ideas come to life by introducing their products and services across Asia. Novabeans also provides the most advanced and comprehensive 3D design-to-manufacturing solutions including 3D desktop printers, 3D scanners, 3D printing pens, 3D printing materials, 3D printing training workshops, 3D printing school kits, 3d printing professional support, made to order 3D design, 3D printing consultancy and services. Its powerful digital thread empowers professionals, students, and individuals everywhere to bring their ideas to life in material choices including plastics, metals, resin, silicon, ceramics and edibles, empowering customers to imagine, design and make their future.